Having your cash converted (i.e. currency exchange) to the local currency of your destination can save you a lot of time, money, and trouble. Though many areas frequented by tourists are likely to accept American dollars, it is usually not a good idea to use US dollars instead of the local currency. 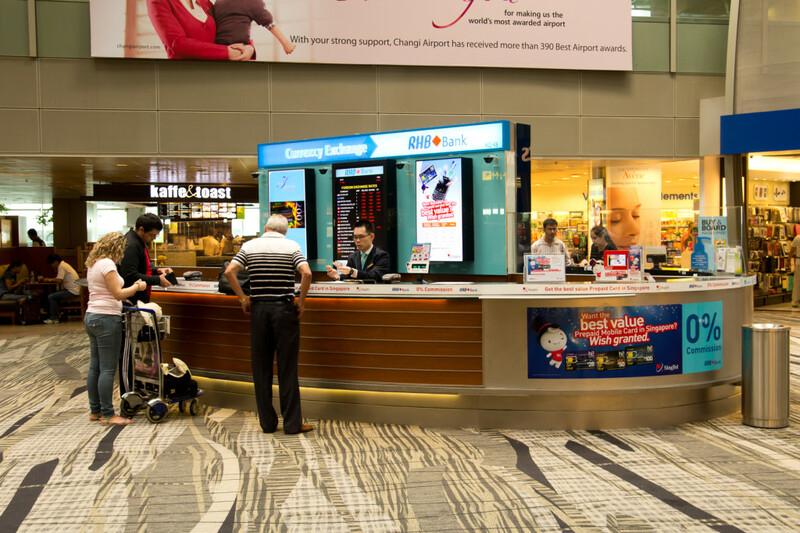 Here are a few important reasons to do a currency exchange before taking off on your vacation. Areas where a large number of tourists congregate, especially international tourists, have plenty of places to exchange currency. These places usually include stand-alone currency exchange facilities, banks, and local financial services stores. The one thing that all of these places have in common is – a fairly hefty surcharge just for converting the currency for you at their own (usually less beneficial to you) exchange rate. The operators of these currency exchange places know that most tourists need local currency immediately and quickly. They know that a tourist will likely go to the first place they see and probably will not care very much about the fee. Because of this, you will see much higher surcharges than you would if you got your currency switched over domestically prior to leaving for a vacation. Exchanging currency at the right time can also help you get a better exchange rate. Some currencies can fluctuate as much as 2-3% a day against the US Dollar, which you can take advantage of if you keep an eye on currency markets in the weeks prior to your trip. If you wait until you get to your destination to exchange your currency, you may end up with an expensive rate and less purchasing power. Even if you get lucky and obtain a better exchange rate, your savings are likely to be eaten up by the high fees. Remember, currency exchange facilities will always charge the best rate of the day that benefits them, not you. Although exchange rates tend to change daily, the prices of goods don’t change as frequently, meaning you can get more for your money if you exchange currency before your trip. Being able to use the local currency as soon as you get to your destination is a smart financial act. It will save you a lot of time standing in lines at banks or currency exchange shops. You will also be able to buy things immediately without having to give up any of your native currency, which usually results in a higher price paid for goods. Moreover, there are some things that can be bought only with local currency, for example, anything that comes from a government entity, or government owned tourist sites. Having at least some of your currency converted prior to leaving on your vacation will give you a bit more freedom and options once you reach your destination. You’ll have extra time to spend enjoying your vacation without having to immediately find a currency exchange facility. By doing so, you will probably end up saving money on things like cab fares and buying souvenirs from vendors. Visit our currency exchange store for best rates and deals, conveniently located in Etobicoke, Ontario.